My Grandmother was a remarkable woman; she raised a family of twelve children and ten stepchildren making them fresh soda farls every day for their evening meal. Even after they had all left home she continued making soda bread every day. Her kitchen was always filled with the warm, floury smell of freshly-griddled farls. Eaten still warm, with melting butter and a little home-made jam they were simply delicious. 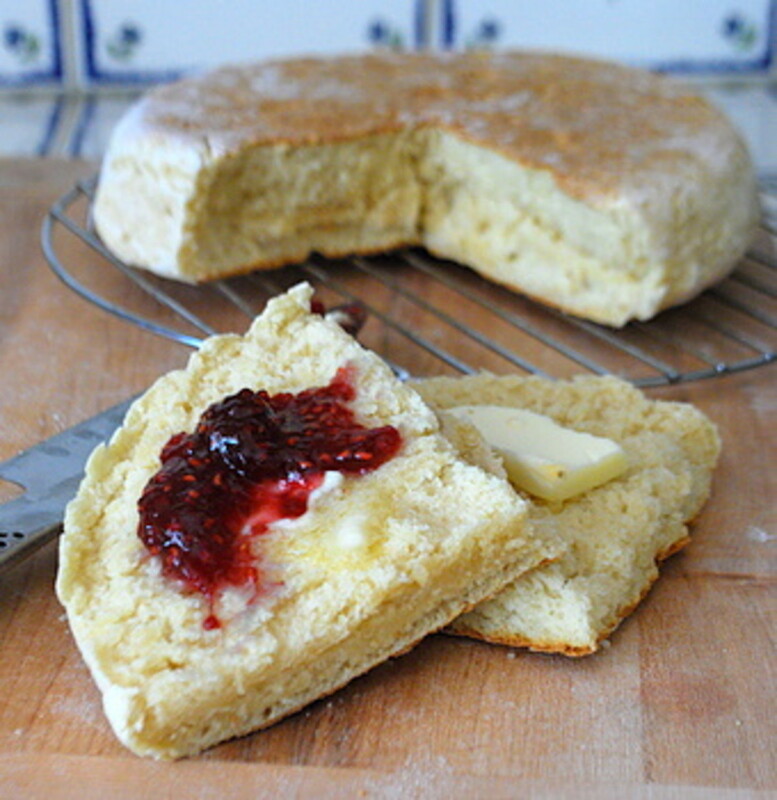 For anyone who has never tried an Irish soda farl I cannot recommend them too highly - they are a soft, dense bread, very satisfying, and they can be enjoyed savoury in a cooked breakfast or sweetened with clotted cream and jam. Enough buttermilk to make the dough into a thick, knead-able constistency. Start with just large splash of buttermilk and when the dough is of a thick, workable consistency it is ready to be cooked. It should be like very thick bread dough, not at all runny like pancake mix. Meanwhile warm your griddle in preparation. (If you don't have a griddle, a wide flat fyring pan will do). Dust the griddle with a little dry flour to stop the farl mix from sticking to the pan.Turn the dough out onto a floured board, knead lightly to form a round shape - then flatten it lightly with a rolling pin. Cut the circle into four or eight wedges and bake them on the griddle, a few wedges at a time. It should take around 5 -10 mins each side, depending on how hot your griddle is. (The you tube video below is a useful visual guide but I would ignore what it says about 20 minutes each side). When the underside has formed a firm skin, turn the wedge over using a slice and turn down the heat if necessary as the bread cooks on its second side. After a few minutes cooking on the second side, use a skewer to check if the farl is cooked through. Keep cooking until the skewer comes out clean. You don't want soft uncooked dough in the centre of your farl! Let the farls cool slightly on a wire wrack. For best results serve warm with butter and jam. NOTE: If you cannot find buttermilk in your local supermarket, you can substitute with normal milk mixed with a generous squeeze of lemon juice. It's the acid in the buttermilk that makes the soda rise and gives this bread its great flavour. A WORD OF CAUTION: Soda farls are the easiest bread in the world - once you've seen an expert make them a couple of times! If you are trying this recipe for the first time, allow that it might take a little practice before you get it completely right. The best tips I can give you are 1) make sure the dough is of a thick consistency, 2) get your griddle at a good temperature - if it is smoking it is too hot, if the bread is barely cooking then it is too low and 3) use a skewer to check each farl is cooked through until you get good at judging when the farls are ready. 1. She never measured out the ingredients exactly. 2. She always used her hands to make up the mix, never a spoon. 3. The secret ingredient was love... my grandmother had a big heart, with room enough for her big family and I think when she was making her bread a little bit of that love must have dropped into the mix - its the only reason I can think of why her soda farls tasted so exceptionally good! I'm always surprised when I go outside the north of Ireland, what people refer to as 'soda bread'. Just to keep things clear - in the north of Ireland 'soda bread' means a flat soda farl cooked on a griddle. In the rest of the world, it seems, 'soda bread' means the oven-cooked soda bread which we in the north call 'wheaten'. Confused? Well don't worry they're both great breads ... so why not try making both of them? 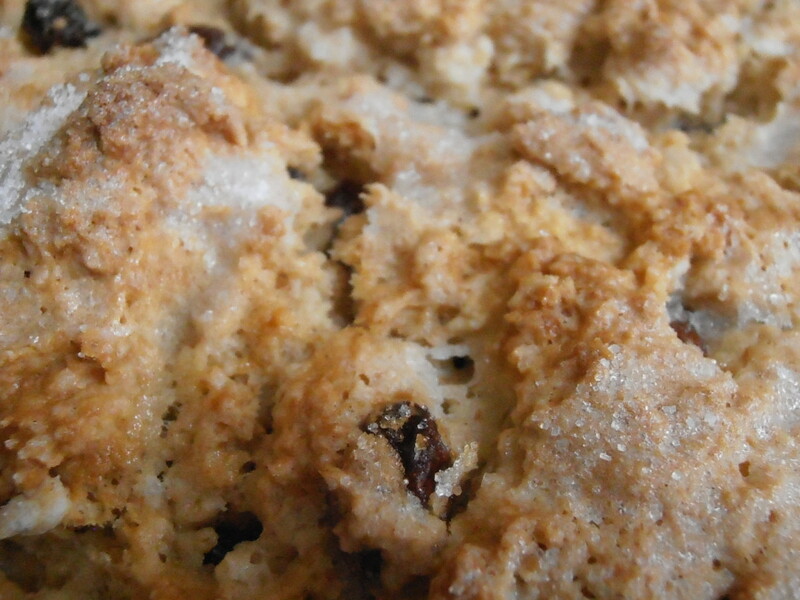 There is a hub all about making the 'other' Irish soda bread which you can read by clicking here. The use of soda to leaven bread was not invented by the Irish but by the indigenous peoples of the Americas who used pearl ash combined with an acidic ingredient to make their bread rise. 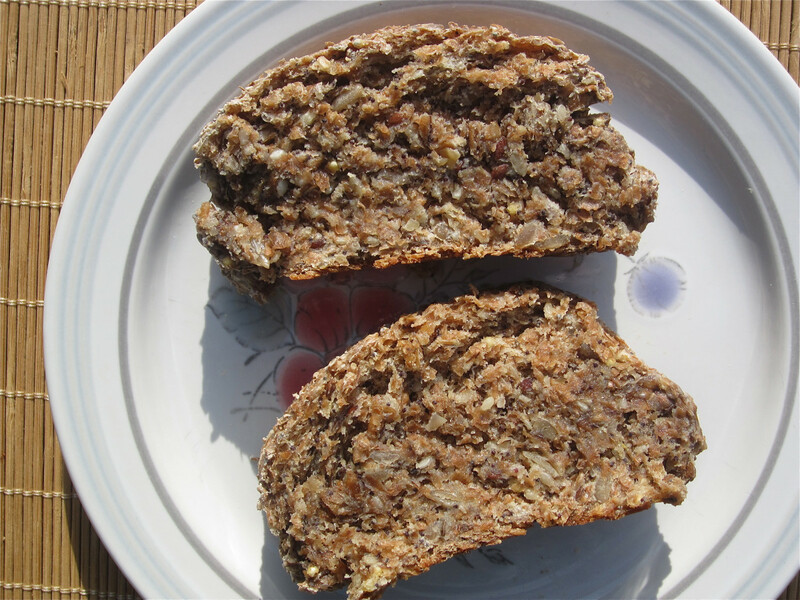 The first written recipe for a quick and easy soda bread is attributed to Amelia Simmons in her 1796 book American Cookery. 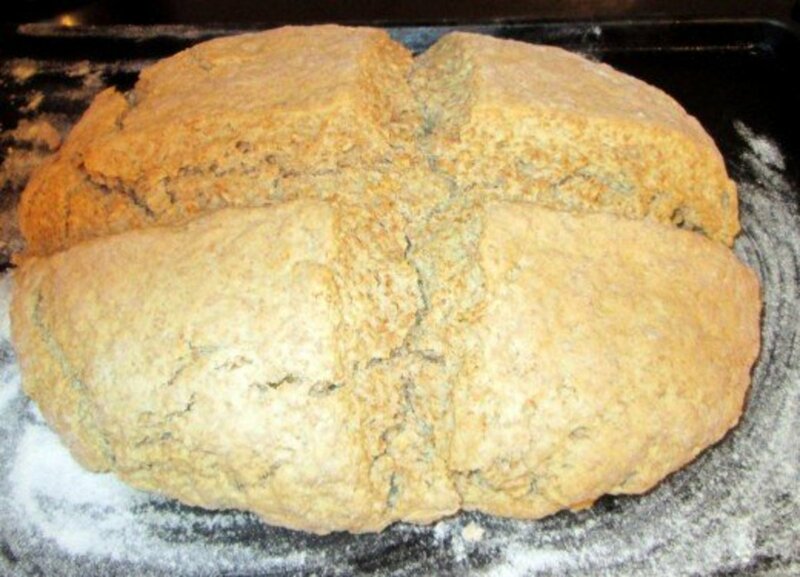 That said, the Irish have made soda bread their own and it continues to be very popular on the island today. 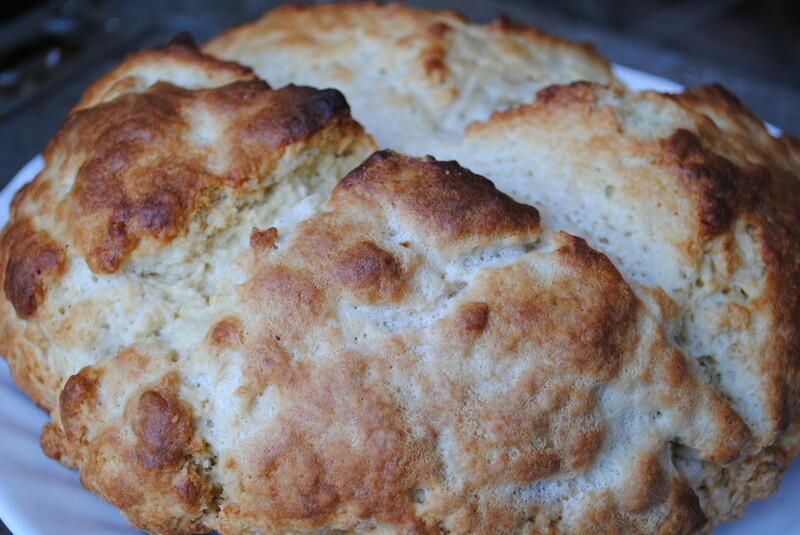 The first references to Irish soda bread date from the mid-1800s when it was adopted by Irish mothers looking for a cheap and easy way to feed their (often large) families. The griddled soda farl would have traditionally been cooked over an open fire. Today soda farls are an essential ingredient in an Ulster Fry (the cooked breakfast to beat all cooked breakfasts!). Some gourmet chefs are even experimenting with ways to reinvent the soda farl - serving mini-farls toasted with a variety of toppings such as smoked salmon, cream cheese and rocket, or goats cheese and mango salsa. So feel free to use this recipe for my Grandmother's Soda farls and have fun with it - reinvent the soda farl in whatever way you choose! 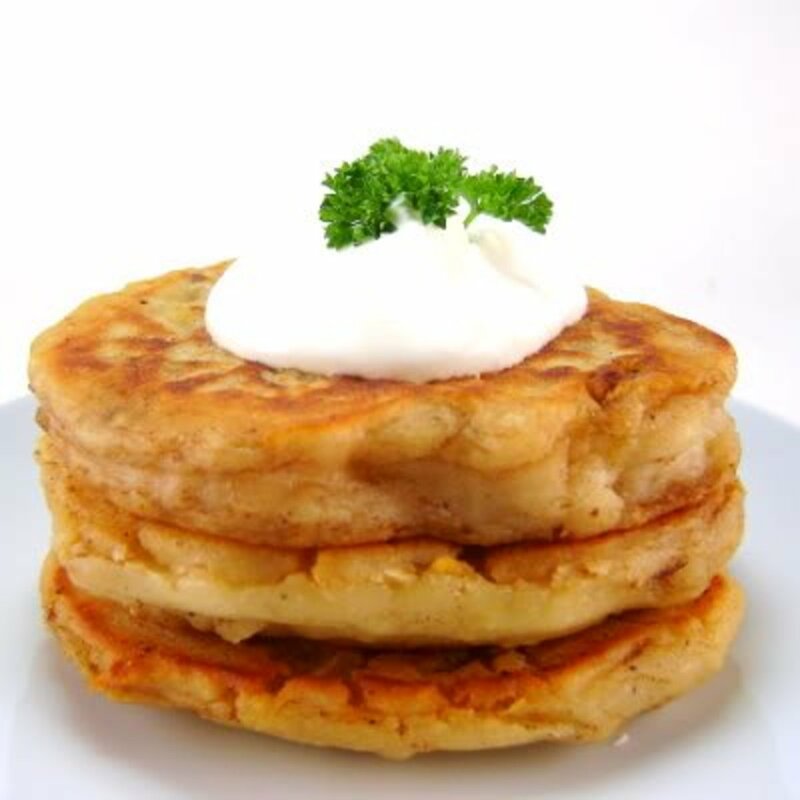 I used soda farls in a new way when I was creating some recipes for my hub: Fun Ideas for St Patrick's Day Breakfast. Made these for the first time today They were lovely .I would probably put the griddle lower next time to make the outside a bit softer. practice makes perfect I suppose. 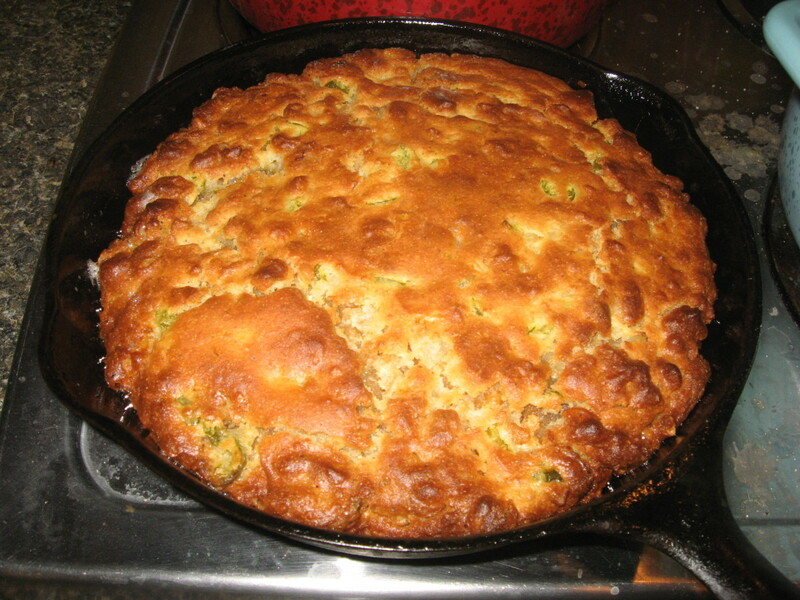 I'm from Belfast living in the states, my mother made this same soda bread all the time, did your grandmother make potato farls too ?, I have made them but they never taste just like my mothers, they are great right of the griddle with butter and also really tasty fried up with bacon and eggs for breakfast.. Tip: when cooked wrap in a clean tea towel and allow to cool naturally. This will help make the out side of your soda farl nice and soft. Potato Apple Bread, Think might be unique to County Armagh Area. Boil Potatoes, Mash smoothly add salt and little Butter, Bind together with a little plain flour by hand. Roll out to circle and add thin sliced bramley apple on 1/2 of circle, wet edges and fold over into semi circle. Cook slowly on a Griddle. When cooked through open up and sprinkle sugar to taste over apples and a few knobs of butter, close up again and enjoy! Sounds like my grandma, right down to the dusting of flour on the griddle, the skewer, and NEVER measuring. She just dipped her hand in the flour bin and got to work. Great memories. Glad you have found a way around the lack of buttermilk! I live in Thailand and butter milk is hard to come by. I improvise by using whole milk with enough vinegar to give it the tartness of buttermilk. Luckily cast iron cook ware is still easily obtained ,albeit rough cast . It does the job really well. We are blessed to have a German Butcher who cures his own bacon which tastes like bacon used to taste and gives a clear moisture free fat just make for frying free range eggs. I'm glad to bring back happy memories! My ancestors were from the Ireland. We've been making bread like this for as long as I can remember. My grandmother made her dough in a bread bowl, right on top of the flour, then pinched off and rolled into portions that were baked in a screaming hot oven. Yes, we still make them, split and buttered while hot. Cut in the butter with a pastry blender until the butter is in very small pieces. Slowly mix in the buttermilk. Do not get the mixture too wet. Divide this mixture into 2 portions. and ½ to ¾ inch in thickness) . Flour the top and pat the portion to form the round. Flour the top then cut into quarters. Place the quarters onto an electric non-stick griddle. Cook for 4 min at 325 -350 or until a golden brown on each side. To serve, cut each quarter in half then slice through the centre. Serve with butter and jam. Scone is pronounced “scawn” and not scone as in “stone”. I ate this bread for 21 years in Belfast and then have make it in Canada, but in the oven and it tastes just as good. But want to do it right ! Thank you ! Sorry Ann, I don't know that one! These sound great, I love oatmeal and dates. I wnoder if you could make them on a griddle? I have one that I use for pancakes (drop scones) although we call it a 'girdle' in Scotland. Might have a go at these at the weekend. So glad to help you bring back happy memories! I am sorry you didn't get to go back to Northern Ireland and see your grandmother, but I am glad you had the chance to learn her recipes at least. Enjoy your fry! 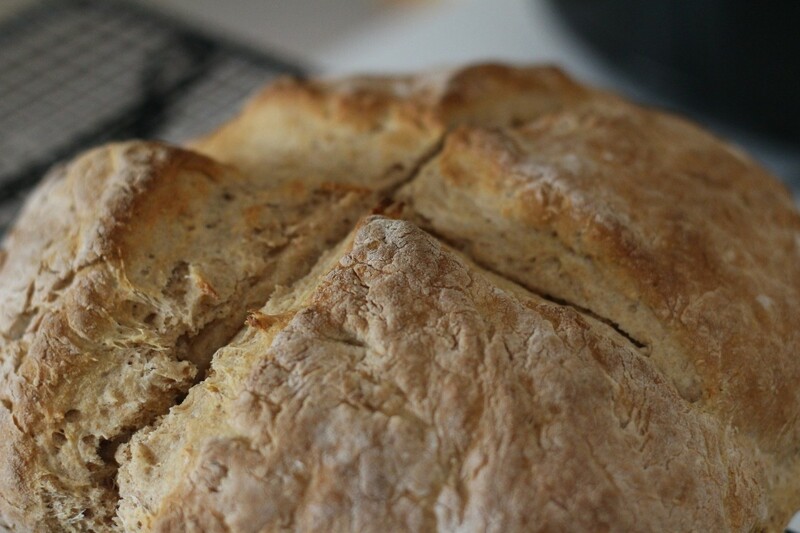 I learned to make soda bread from my grandmother and her recipe is almost exactly the same as the one you use! 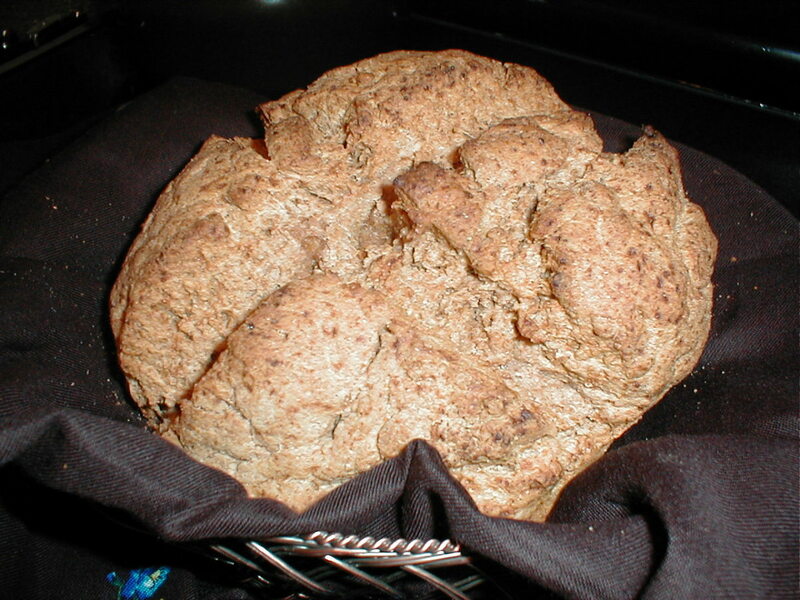 I also learned to make potato bread, scones and wheaten when I visited her in 2002. I am so happy I had her teach me then because I never had the opportunity to go back to Northern Ireland before she died. I think we may need a fry for breakfast one day this week! Thanks for sharing your happy memories Itakins! 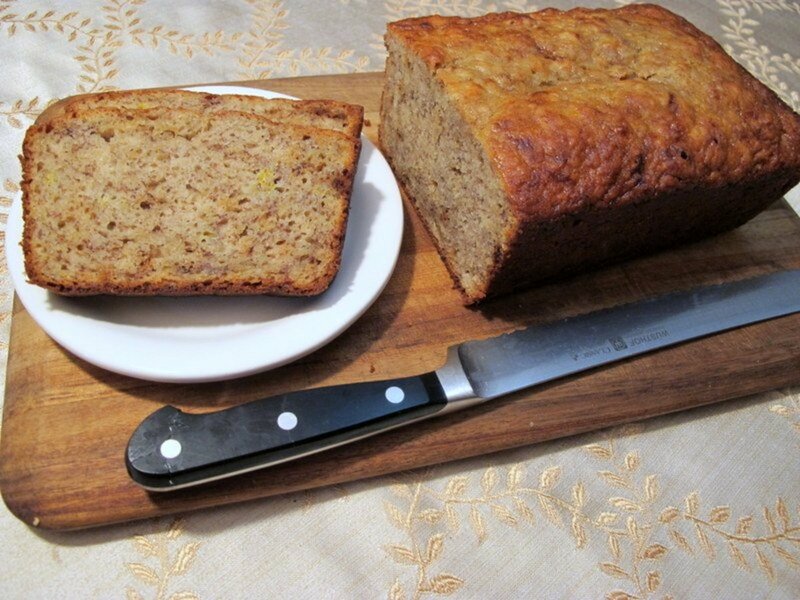 So thrilled to have this recipe at last - I too watched my granny - a good Ulster woman make this bread every day after dinner,and she never measured anything!She always called it pan bread ,I think because she used an old cast iron pan...not sure.It was delicious....such memories. Wonderful, my mum used to make these for us children, many years ago, her mum was Irish, warm with butter and jam was Sunday nights tea, also with cheese. My mouth is watering just thinking about them. Thank you for sharing. Belated happy Saint pats to you !! I still make it, actually cheapest and best tasting bread I know of ....I add alot of other incredients to spice it up. Ok, you sold me. I now have to give this a try and see if I can get the wooden skewer to come out clean. Thank you for sharing. Delicious ,I can almost smell it,just love it. Going to give this a try, looks very appetizing. I haven't try it before, thanks for the recipe. I live aboard and don't have an oven for baking. Soda farls will cure my craving for homemade bread! But this hub is so much more than just a recipe. I really enjoyed reading it. It's St. Patrick's Day and I'm in Belfast. Just loved your article. I too had a Granny who griddled soda farls. In her latter years she went high tech and used a griddle which burned gas. There is little to compare with hot soda and sweet tea. One drawback was the countless burns I got on the back of my legs. What about potato bread and Ulster Fries? OMG I think I'll just pop out and stick the pan on. Thanks again. You took me back to a kitchen floor in Lurgan, some 50 years ago. The smell ... Oh the smell. I always thought that my granny's sodas were the best in the world, and she too never measured ingrediants. She put her success down to the fact that as a young girl she had broken her wrist which never set properly. She always said that her success was due to her "gammy arm". But you are right. You cannot make great soda farls without a lot of love. Thanks again Marie. 8 years ago from Sallisaw, OK.
Marie, I am a food lover first and an amatuer cook. I love to cook and have since I was big enough to stand next to the stove. I think its wonderful that you have took on learning your Grandmother's recipe. I think that's a wonderful way to be able to hold on to that little part of our ancestory that warms the soul. thank your for your passion. I have one of my own from my Grandmother her homemade biscuits and they were always by hand and always made no matter when I came. you have inspired me and I think I may just write something on mine now so again thank you. Ooooooh yummy yum...I can not wait to try this recipe. Thank you for sharing! Wonderful article.I really enjoyed this stuff.thanks for sharing. Okay, I'm drooling now - wish I had some right now. Thanks for sharing your Irish farl. Had never heard of it. I was in Scotland in 2007, but I really want to visit Ireland soon. Congrats on your nomination. Thanks Ripplemaker - very excited about the nomination! Congratulations on your Hubnuggets nomination. Please follow this link to read and vote: https://hubpages.com/hubnuggets6/hub/A-Judge-Bee-M... Cheers! So glad to spread the word about Soda farls - they deserve to be a lot better known!